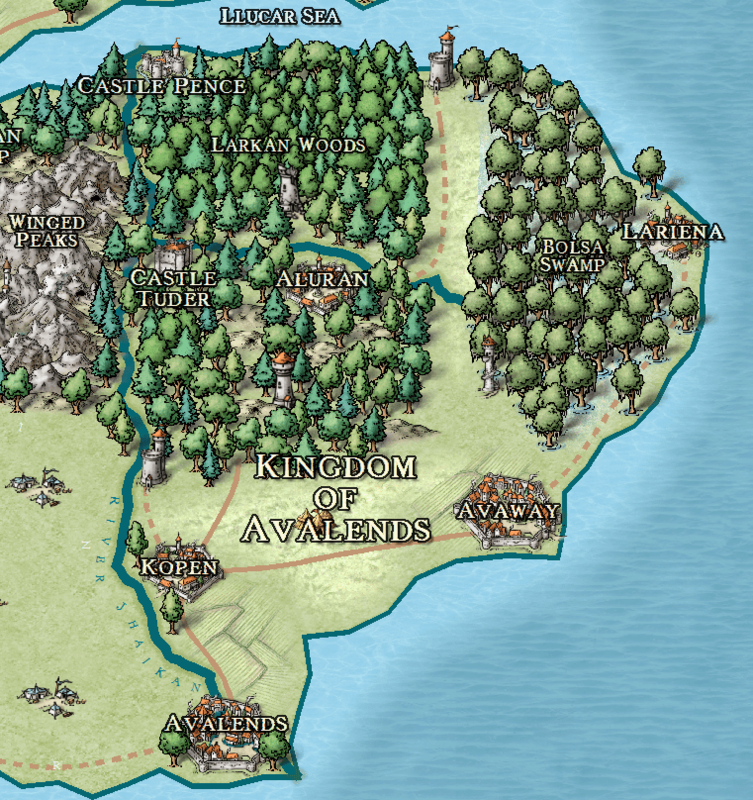 The continent Antaria lies north of the equator in a position similar to the United States, which it is about half the size of. 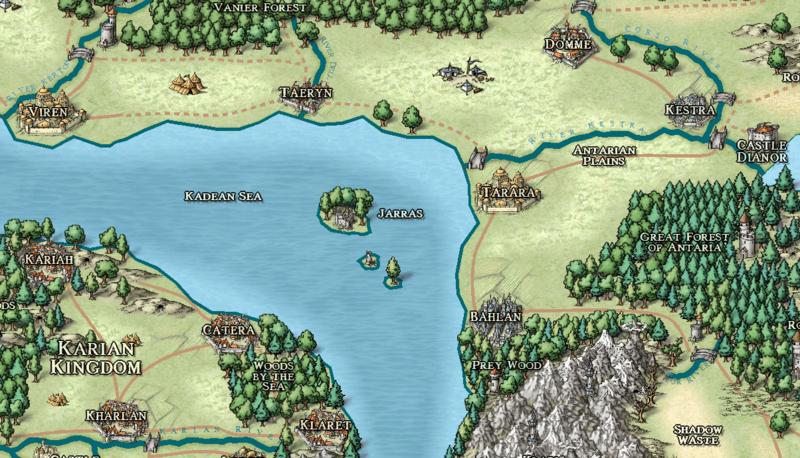 Across the southern Antaran Sea lies a large continent, Llorus. 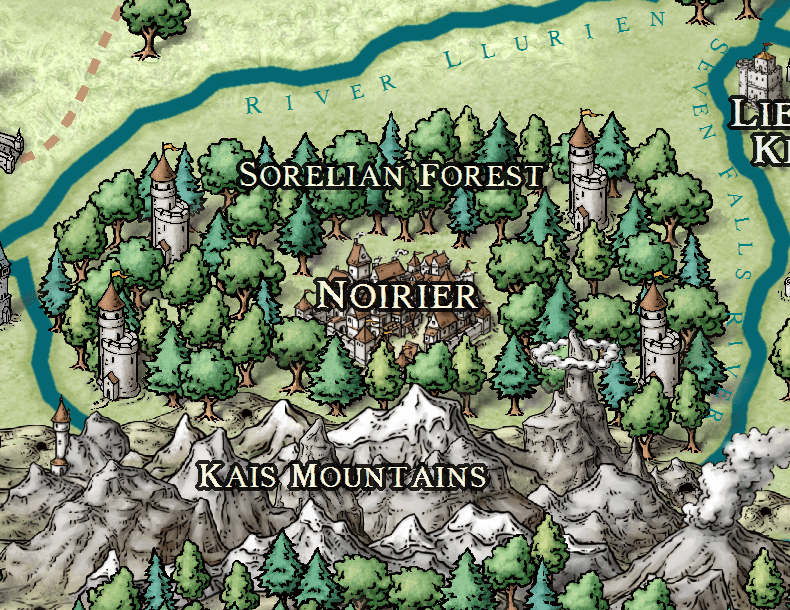 Hear it pronounced. 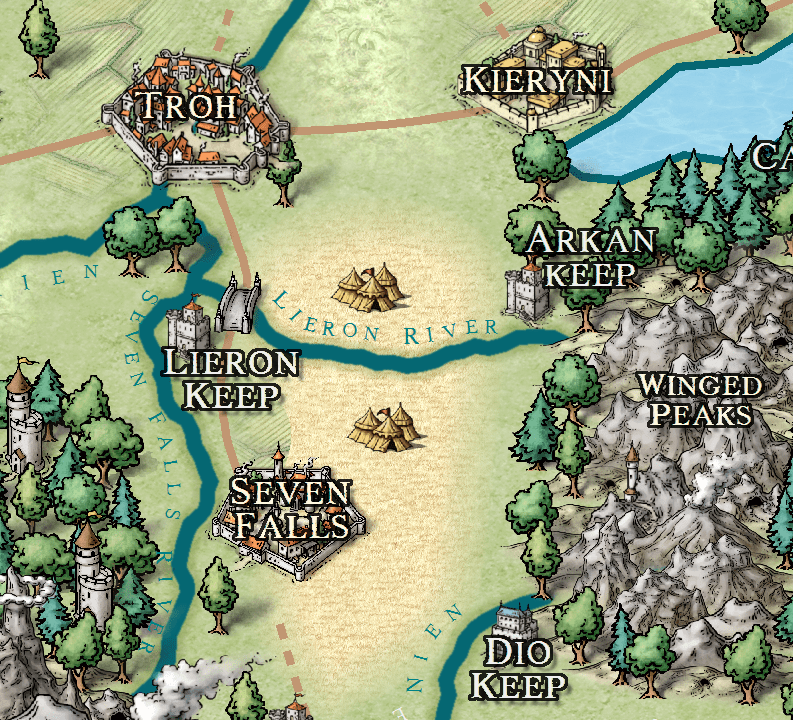 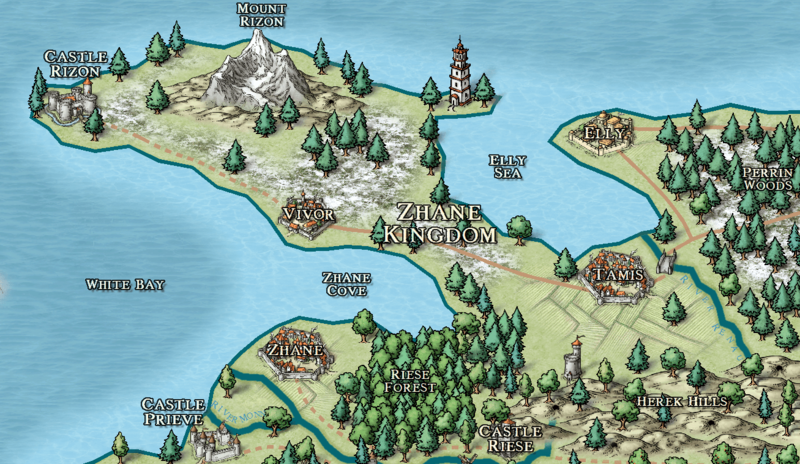 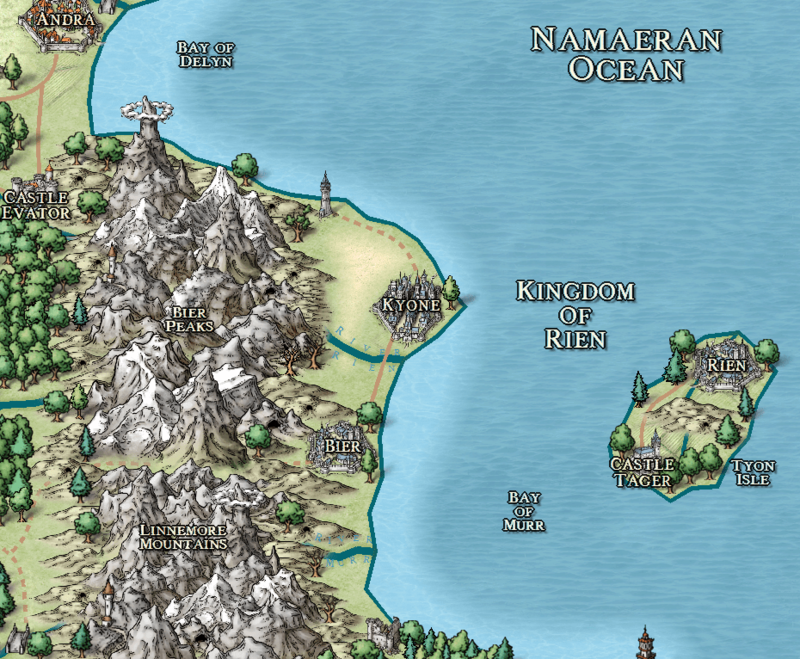 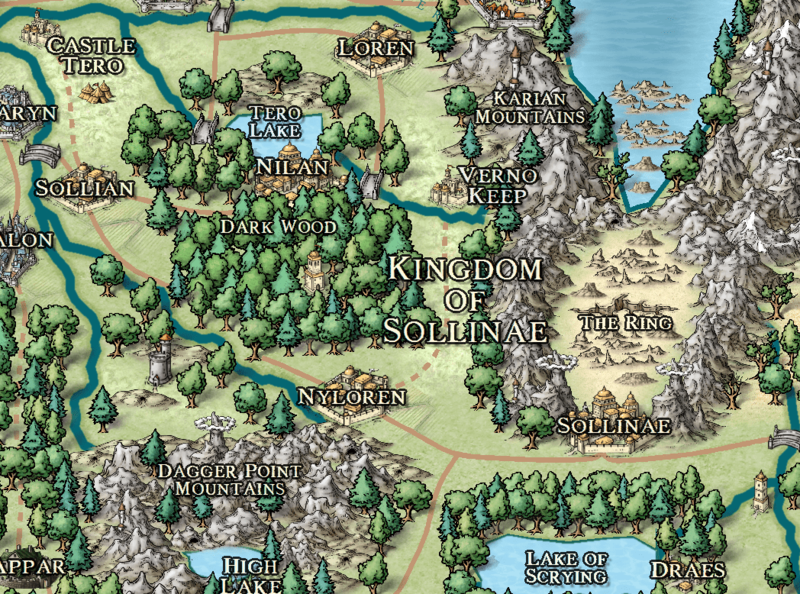 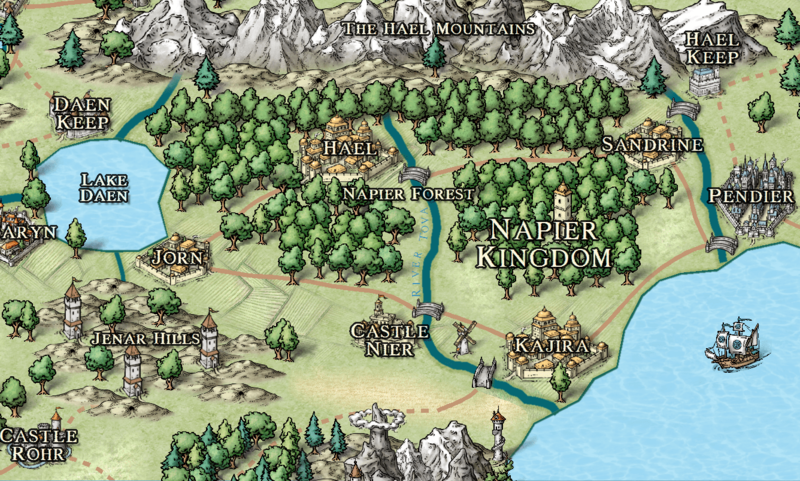 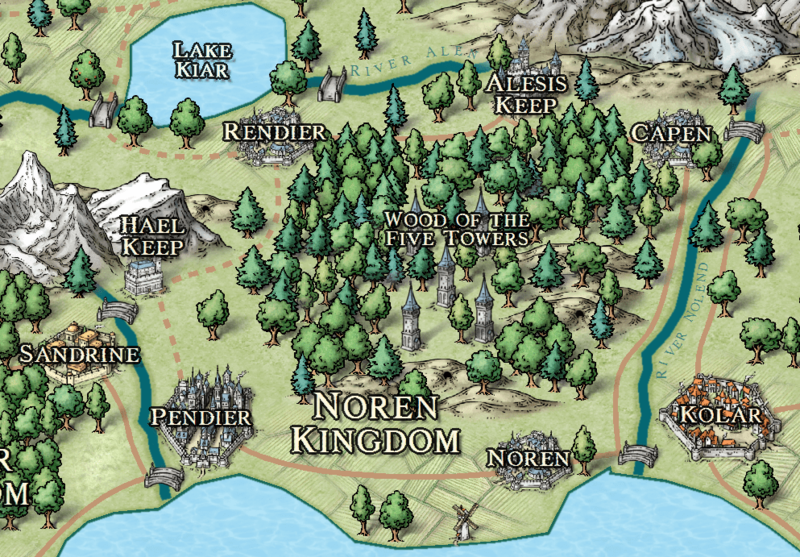 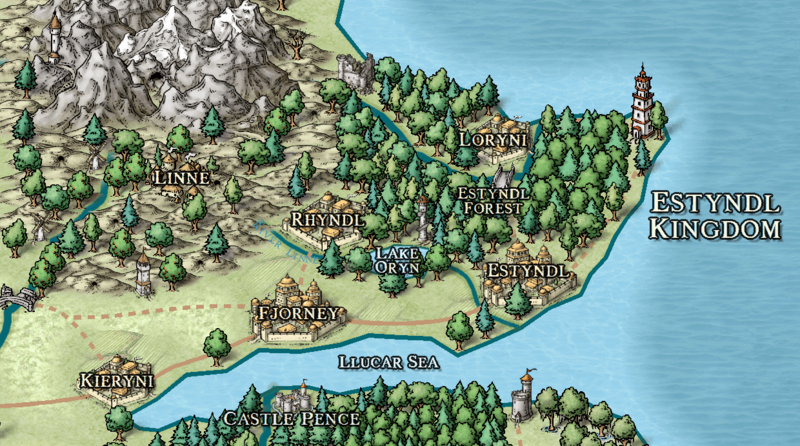 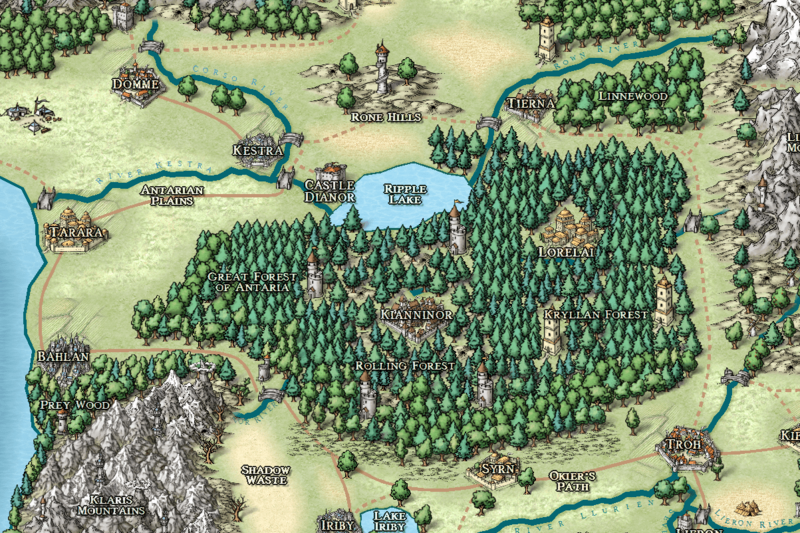 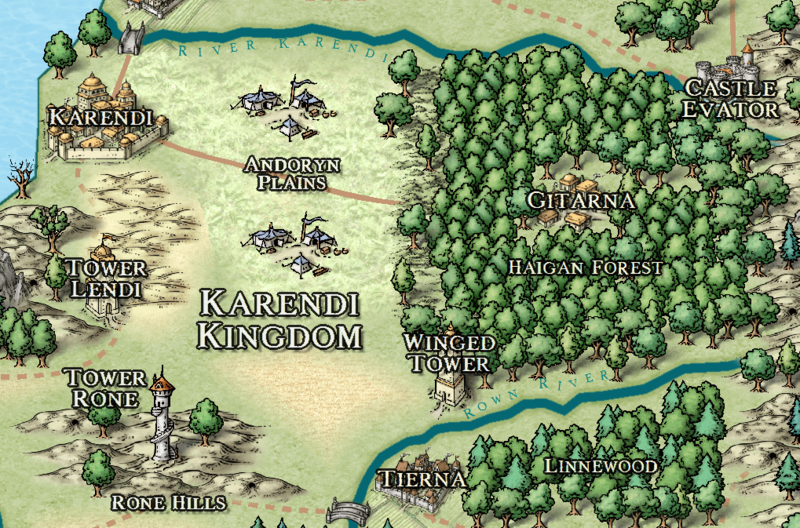 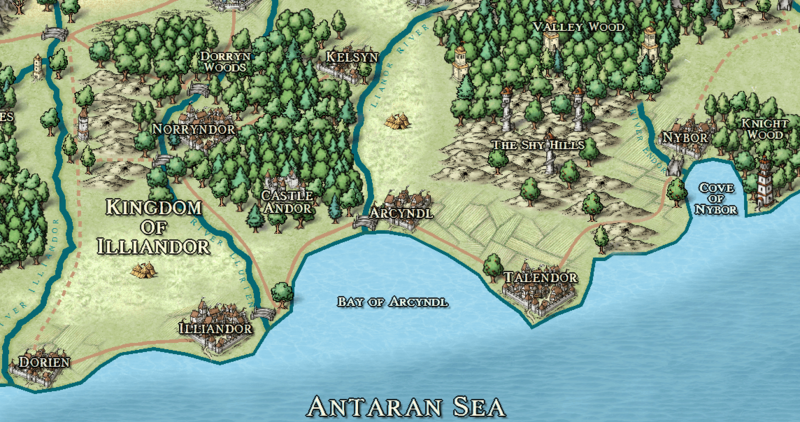 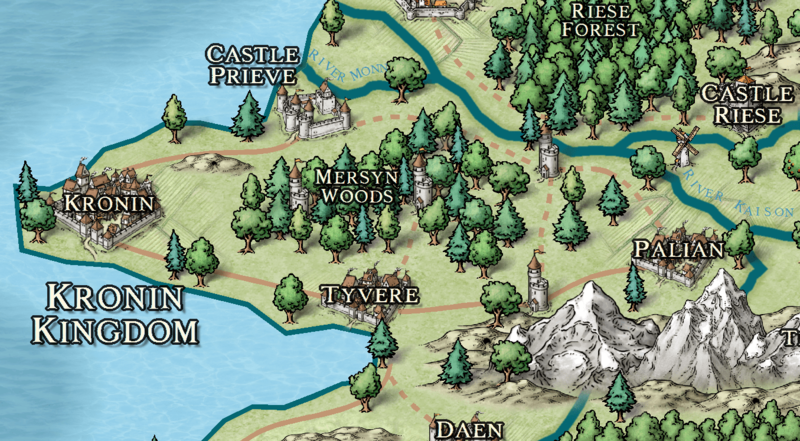 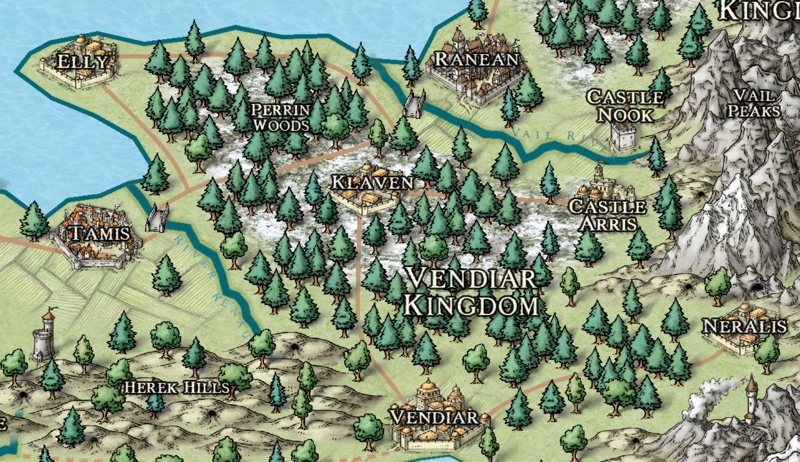 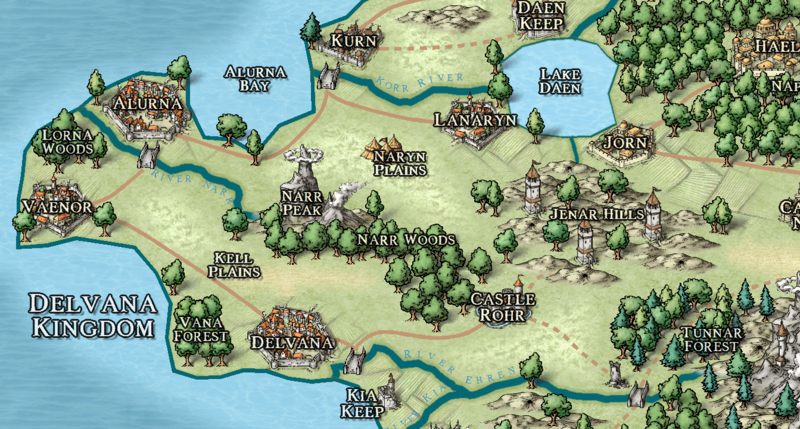 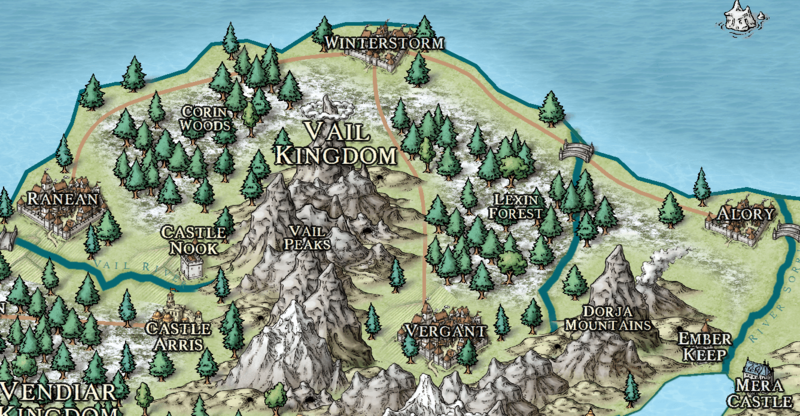 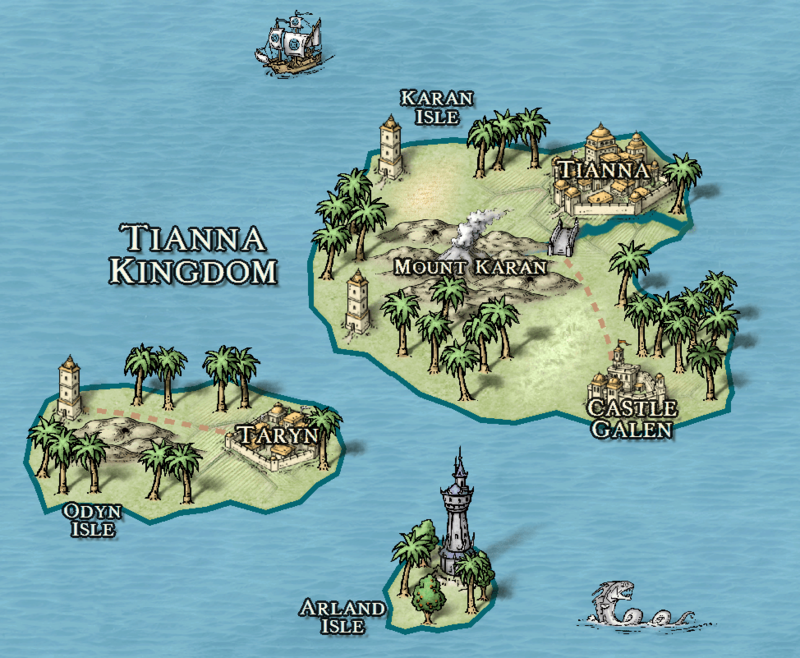 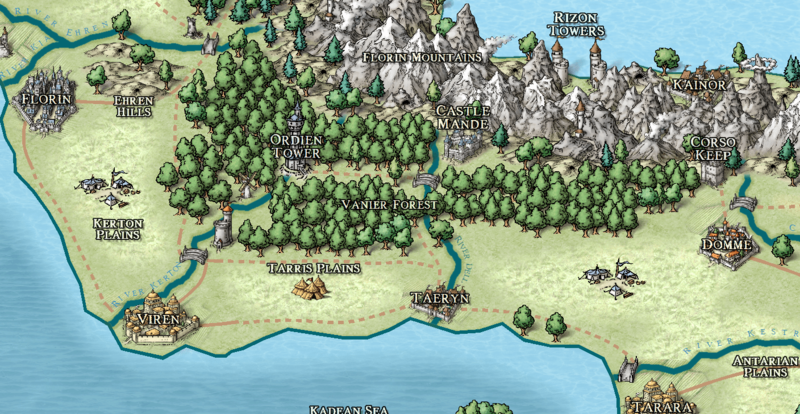 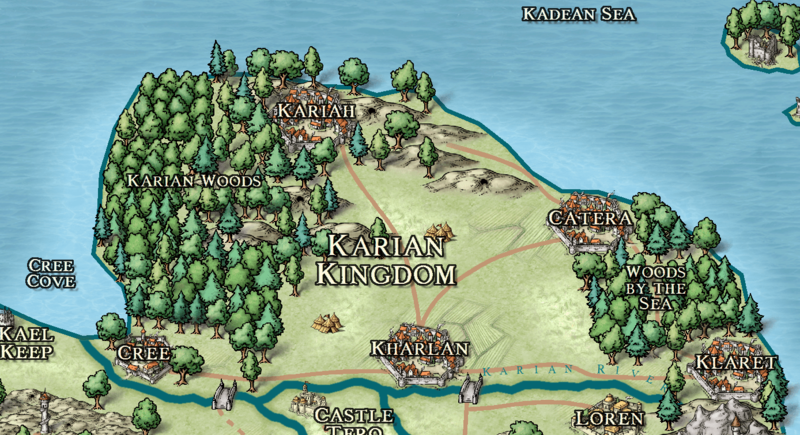 Trivia – Antaria is the original continent Ellefson developed for Llurien and his stories. 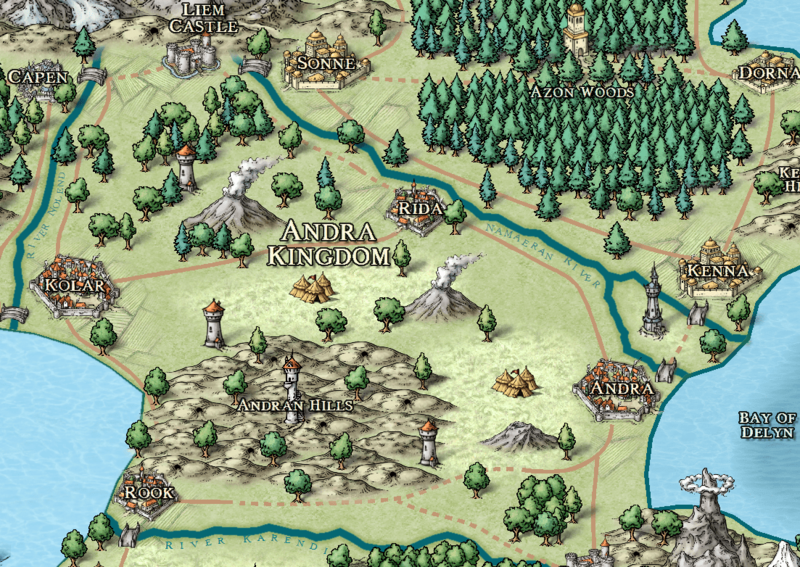 There are many sovereign powers on Antaria. 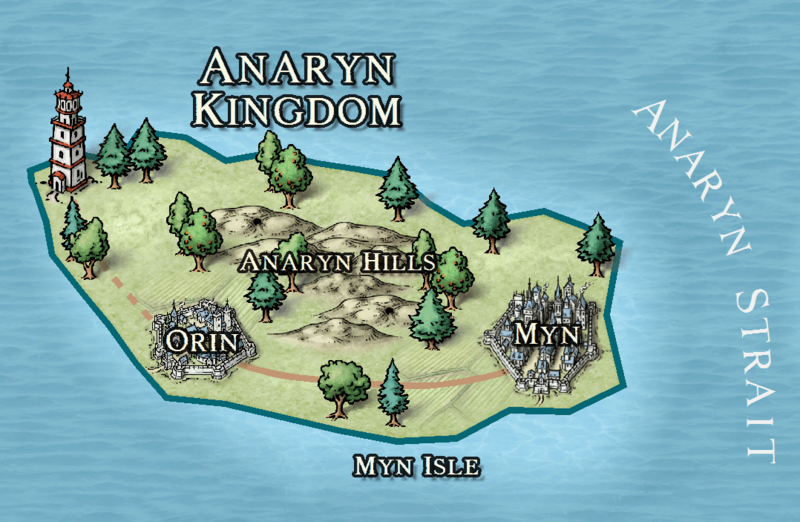 More details will be added here in time. 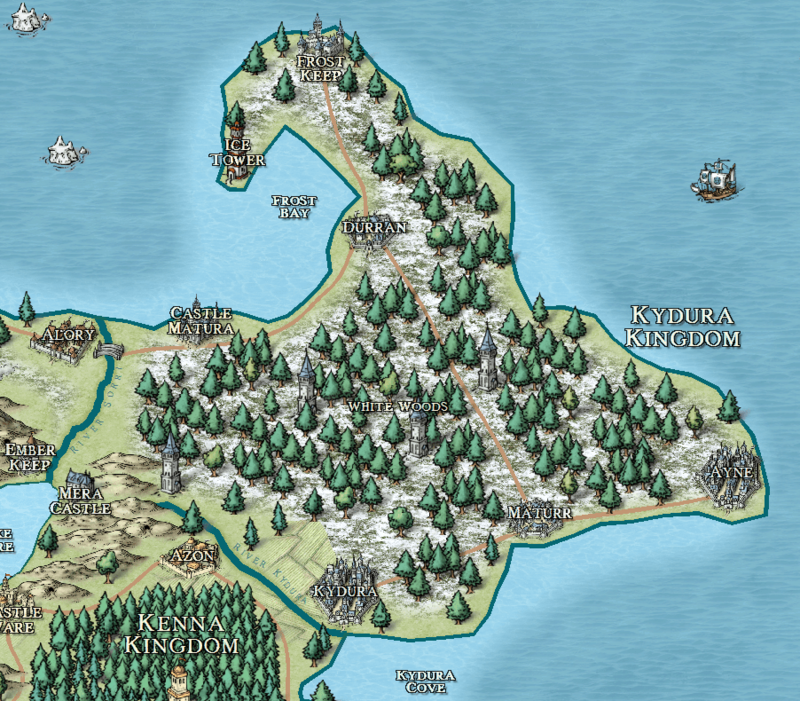 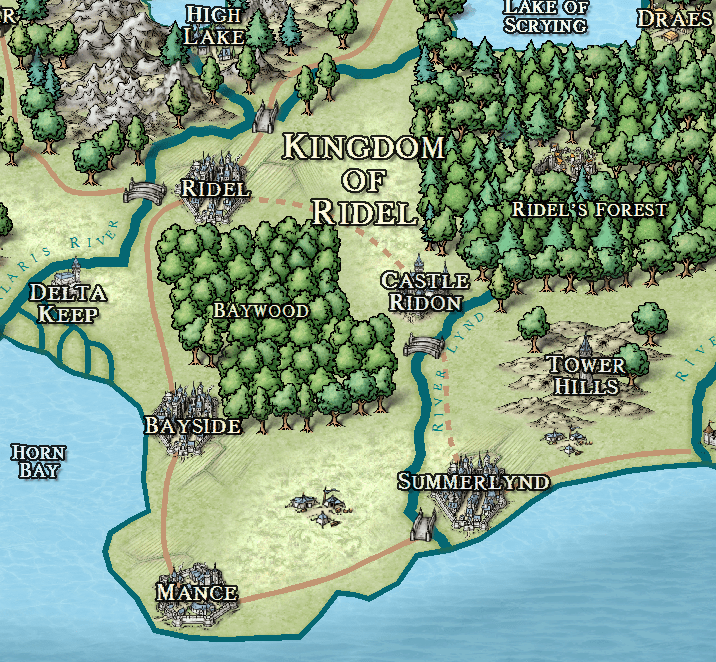 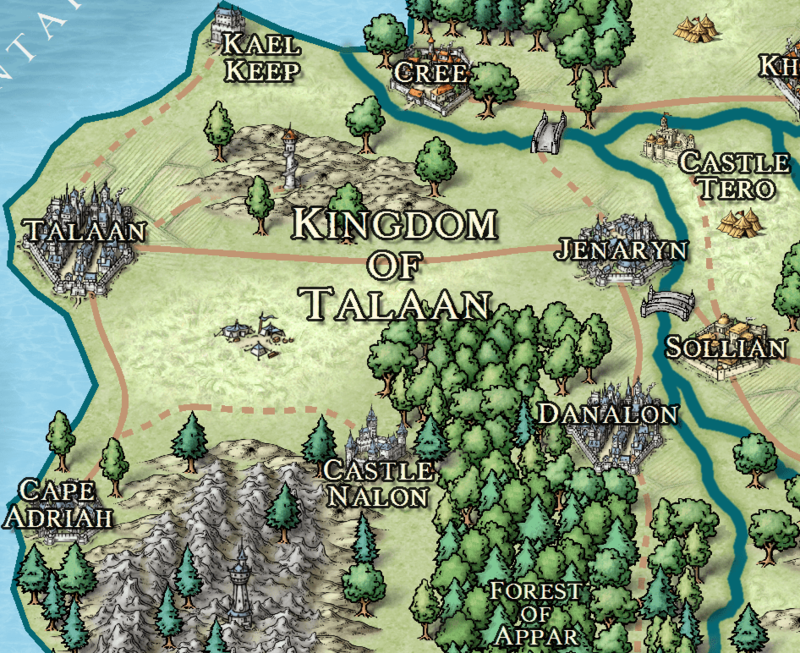 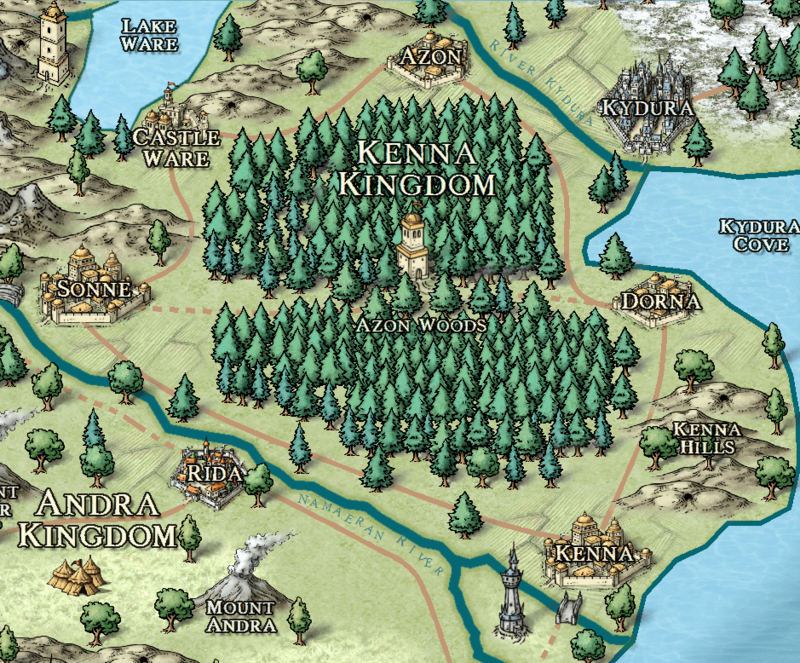 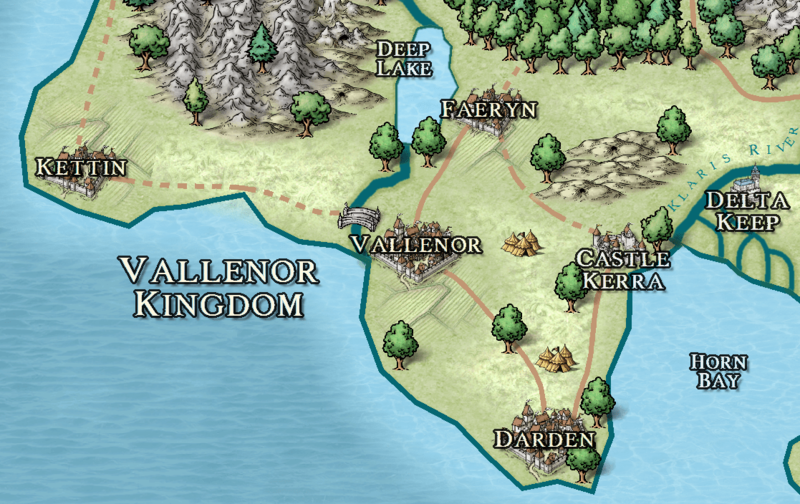 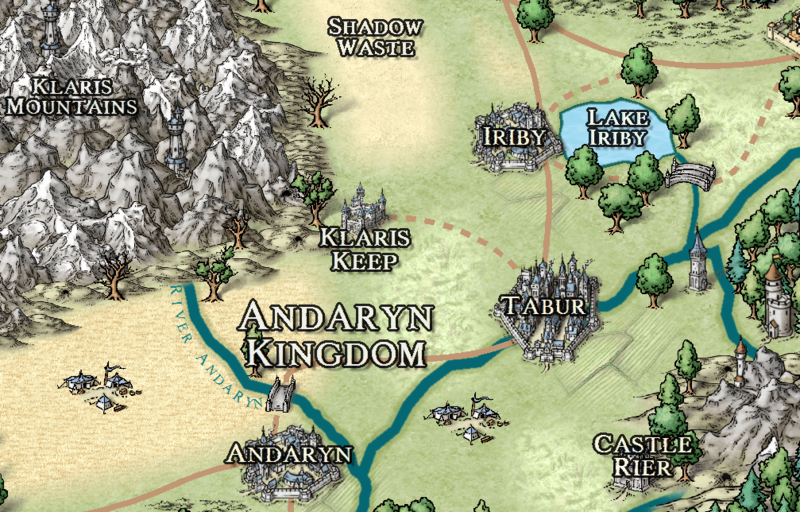 The Kingdom of Illiandor lies along the southern coast of Antaria and was the heart of the Empire of Antaria until the empire collapsed. 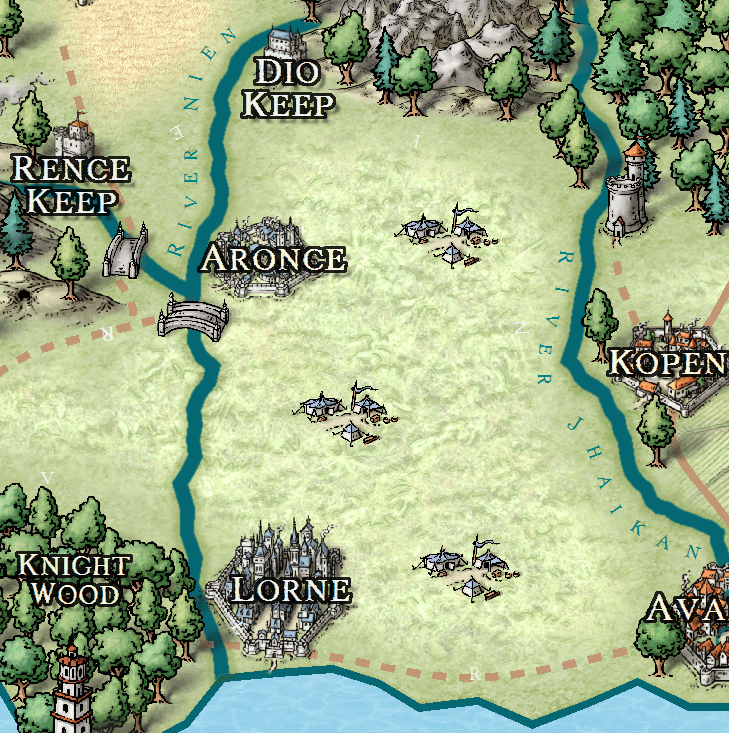 It is responsible for many aspects of modern life, including the formation of the Knights of Antaria and the creation of the Warders. 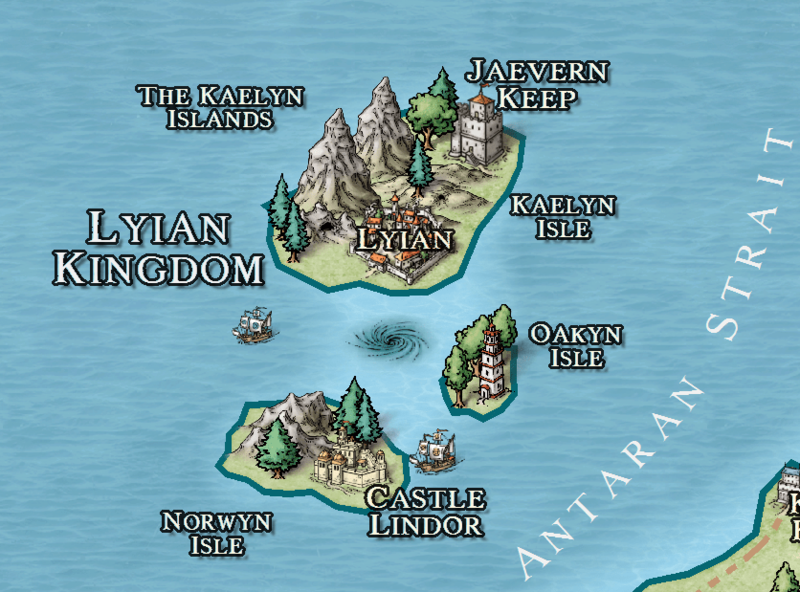 In modern times, it is a central power due to its location, which allows it to control much access to Antaria from the southern continent of Llorus across the Antaran Sea.